galleries and high resolution images on their website. When the Rijksmuseum opened its doors last month the public was allowed to photograph any work in their collection for the first time. 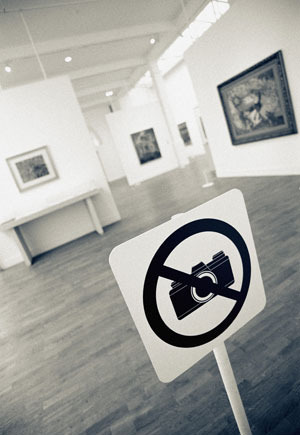 Camera flashes mark a change in museum policy forever. The Rijksmuseum’s website now features a database of 125,000 high resolution images of masterworks by artists such as Mondrian, Rembrandt, van Gogh, and Vermeer. They plan to add another 40,000 images by next year. Why? Most museums do not own the copyright to their “physical” paintings. The 1942 case Pushman v. New York Graphic Society defined ownership of artwork as distinct from the copyright to use the image of the artwork. This was clarified in Congress in the 1976 Copyright Act, Section 202, clarifying that the sale of a “material objects” is a transaction separate from the sale of copyright. The owners of artwork copyrights have a different agenda than the “physical” owners of the artwork. This can create many problems for museums, who in some cases must gain permission from the copyright owner to publish an image from their own collection. An interesting example, explained in Beilstein, is Les demoisells d’Avignon. The painting is owned by two parties. 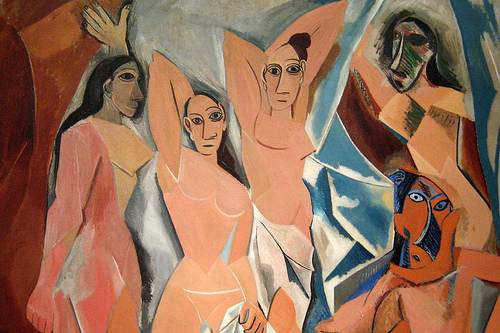 The “physical” painting belongs to the Museum of Modern Art; the copyright belongs to the heirs of Picasso, now called the Picasso Administration. MoMA must obtain permission explicitly from the Picasso Administration to use the image– hence why very few coffee mugs and tote bags bare the image of Picasso’s demoisells. but could be conceivably be the size of someone’s thumb and is not from the MoMA website. (1) It opens new doors for academia and interaction with museum communities. Some argue that museum policies should not be restricted and allow a “open source culture.” Researchers could use images freely and the general public would enjoy the freedom to post images of themselves in front of paintings and enjoy manipulating them, inviting public engagement and artistic freedom. 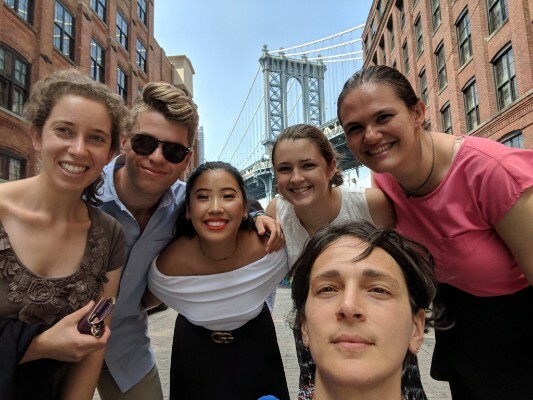 (3) Digitizing images is a financial burden– the machinery, software, and specially trained employees (or interns) drain money from museum coffers. The Rijksmuseum had an advantage in that the their project was funded by $1.29 million grant from the national lottery and had 10 years to digitize the images while the museum was closed for construction. (1) If a museum holds the copyright their artwork, they have a monopoly on its use. They can charge academics and researchers for limited use to publish, and more importantly, use the images for commercial gain. Gift shop revenue is a lucrative business and a consistent stream of cash. 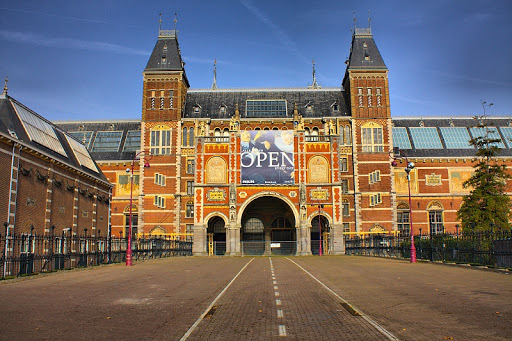 As it stands, while the Rijksmuseum experiments with the idea of “open source” photography, museums are forced to address the issue and find a resolution. Sources: “Masterworks for One and All,” The New York Times, May 28, 2013; “Camera Ready?” ARTnews, May 2013; Permissions: A Survival Guide, Susan M. Bielstein, 2006.